Making the 2011 Millard Fuller Legacy Build a success will take the time and well-orchestrated efforts of many dedicated individuals. But equally and more understatedly important are the contributions of financial partners and corporate sponsors. Without these generous individuals and companies, none of our eight new homes and eight rehabilitation projects set to take place in Minden, Louisiana, would be possible. “Sponsors help underwrite the cost and are critical to keeping the house affordable for homeowners,” Glen Barton, The Fuller Center’s vice president of U.S. Field Operations, pointed out. Two of The Fuller Center’s significant partners in the Legacy Build are the Vinyl Siding Institute and CrossRoads Missions. Founded by Rob Minton in 1993 as a faith-based mission organization, CrossRoads Missions serves as a liaison between churches or individuals and worldwide ministry opportunities. Through their Help Build Hope program, CrossRoads provides lumber and construction assistance with wall panels for community home-building projects. Over the past several years, they have fostered a successful partnership with The Fuller Center, providing wall packages to many of Fuller Center covenant partners on a year round basis. This is the fifth consecutive year they have partnered with local ministries to furnish walls for the Millard Fuller Legacy Build. 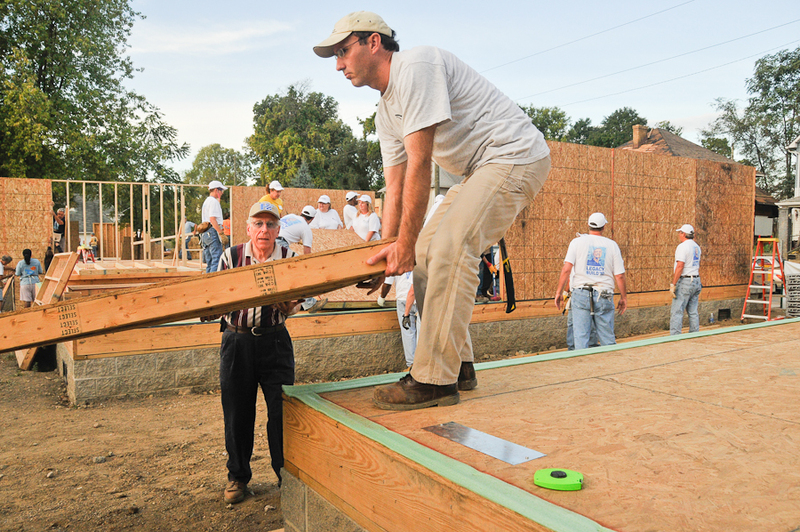 “CrossRoads Missions is excited to partner with The Fuller Center through our Help Build Hope program, mobilizing churches around the country to send panelized walls and cash donations to perpetuate the Millard Fuller Legacy Build,” White said. White said meeting Millard Fuller through Habitat for Humanity has had a profound impact on his life’s work, and helped lead to the partnership CrossRoads shares with The Fuller Center today. Though CrossRoads Missions’ Help Build Hope program raises walls around the world, White emphasized that their team is well grounded in faith. “Thanks needs to go to partnering churches, and all praise goes to God … that’s integral to where we come from and to our partnership with The Fuller Center,” he said. The Vinyl Siding Institute (VSI) is a trade organization dedicated to supporting vinyl siding manufacturers and related companies. VSI’s president and CEO, Jery Huntley, is one of The Fuller Center’s major long-time sponsors, and has established a tradition of working with their members in giving to The Fuller Center. 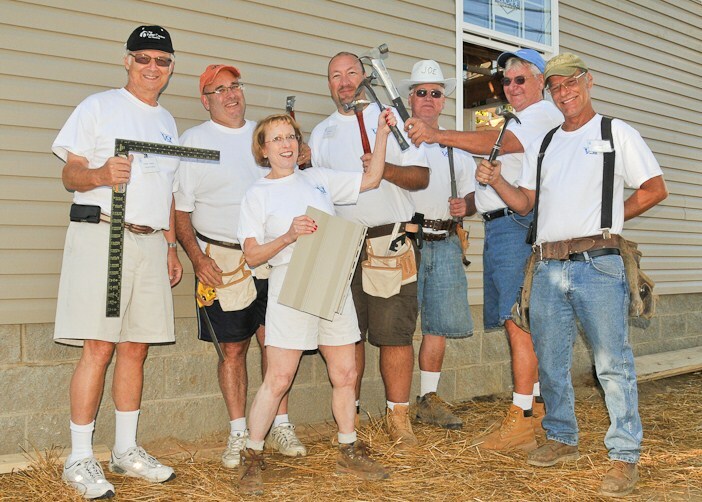 In fact, the association and its members donated all of the vinyl siding for the first Millard and Linda Fuller Blitz Build in 2006. "VSI is excited to help continue Millard’s legacy of building quality housing for those in need by again participating in this year’s Legacy Build,” Huntley said. “We will again have certified trainers on site to show volunteers proper vinyl siding installation techniques. These techniques will help ensure that the siding remains beautiful for years to come – as Millard always said it did." This year, the association and its members are providing vinyl siding for eight new homes and two renovation projects in The Fuller Center’s annual blitz build. Vinyl siding is an exterior cladding manufactured primarily with PVC that is touted for its resistance, rigidity and strength. It’s available in a variety of colors, profiles and architectural trim, which allows homeowners to customize their house. VSI doesn’t just donate to The Fuller Center for the annual blitz build – recently they also teamed up with The Northern Virginia Fuller Center for Housing, Azalea Charities and the Quality of Life Foundation to provide vinyl siding for a wheelchair accessible addition for injured corporal Josh Himan. Both CrossRoads Missions and the Vinyl Siding Institute and its members continue to pave the way as examples for additional sponsors and in-kind donations.